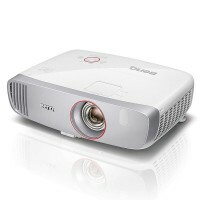 BenQ W1090 CineHome Series projector brings the thrill of watching big screen visuals to your living room. Gather with friends and family in front of the huge vibrantly projected Full-HD images with the audio enhancement to accompany your video enjoyment. BenQ W1120 CineHome projector brings big-screen Full HD visuals to your living room, with >96% Rec.709 accuracy for authentic cinematic colour and short throw for 100” pictures from just 2.5m away. W1120’s ultra-low input lag and special Game Mode enable epic gaming. Time for a more absorbing gaming experience on the big screen! Experience an immersive gaming experience with a larger-than-life screen to fill your field of view with BenQ W1210ST, the home entertainment projector designed for video gaming.